Kirstie has just completed her third monograph on Victorian poetry, Working Verse in Victorian Scotland: Poetry, Press and Community, and recently edited an anthology of Scottish newspaper verse, The Poets of the People’s Journal. 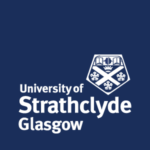 Other new publications include an essay on Scottish poets and European nationalism for Scottish Literary Review and a forthcoming chapter on ‘Dialect, Region, Class, Work’ for the Cambridge Companion to Victorian Women’s Poetry, ed. Linda Hughes. She worked with Catriona MacDonald and Gerry Carruthers on the ‘People’s Voice: Scottish Political Poetry, Song and the Franchise’ project, funded by the Carnegie Trust; with Lauren Weiss on the ‘Glasgow’s Literary Bonds’ project, and with Lauren Weiss and Mike Sanders on ‘Literary Bonds’, funded by the Research Society for Victorian Periodicals. She currently leads the Scottish Centre for Victorian and Neo-Victorian Studies and is the Head of the School of Humanities at Strathclyde. 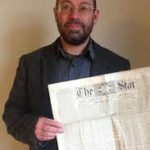 Mike is the author of The Poetry of Chartism: Aesthetics, Politics, History, and has recently published articles on William Blake and Ray Davies, and Chartist historiography in Visual Culture in Britain and the Bulletin of the John Rylands Library respectively. Other new publications include an essay on the Chartist poet Thomas Cooper for the Cambridge Companion to Working-Class Literature, and chapters on the role of religion in Victorian working-class radicalism in Constructing Nineteenth-Century Religion, eds. J. King & W.J. Werner, and The Figure of Christ in the Long Nineteenth Century, ed. E. Ludlow. Mike has worked with Kirstie Blair and Lauren Weiss on ‘Literary Bonds’, funded by the Research Society for Victorian Periodicals. 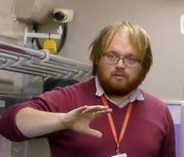 He is currently a Senior Lecturer at the University of Manchester. 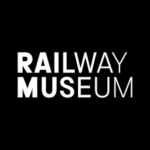 Oli Betts has, for the last three years, helped set the National Railway Museum’s research agenda, drawing together archive and object collections spanning over two hundred years of British, Colonial, and Global history. He completed his thesis on Working Class Homes 1870-1914 at the University of York in 2015 and is currently turning this into a monograph. He has published on a range of themes related to history-from-below and recovering the voices of working-class life including pieces in The London Journal on fictional representations of London’s East End, in Social History on female confectionary workers, and as part of a debate about working-class studies in Journal of Victorian Culture. He is keenly interested in how working-class writing can enhance industrial collections in museums and broaden public understanding of Victorian workers and their families. Lauren has a forthcoming chapter in The Edinburgh History of Reading entitled ‘‘Although ambitious we did not aspire to such dizzy heights’: Manuscript Magazines and Communal Reading Practices of London Literary Societies in the Long Nineteenth Century’, ed. by Mary Hammond and Jonathan Rose. Her other publications include an essay on the reading diary of an Evangelical, non-professional, married woman reader in mid-nineteenth-century Glasgow in Library and Information History, and a chapter in Media and Print Culture Consumption in Nineteenth-Century Britain, which is a case study of one Glaswegian working-class literary society and the magazine they produced in the late nineteenth century. She recently completed work with Kirstie Blair and Mike Sanders on the ‘Literary Bonds’ project, funding being awarded by the RSVP Field Development Grant, in addition to ‘Glasgow’s Literary Bonds’ with Kirstie Blair, a project funded by The Royal Philosophical Society of Glasgow. 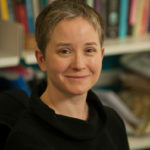 Tracey is currently Professor Kirstie Blair’s PhD student working on Libraries and Reading Rooms in the long nineteenth-century. 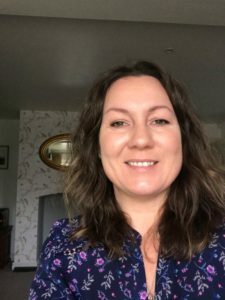 She is particularly interested in working-class experience of reading and writing and has recently completed her MRes thesis on nineteenth-century working-class prisoner autobiography at Liverpool John Moores University. 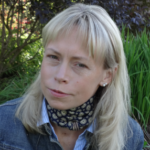 She has also mentored LJMU third year students on the collaborative research project, Writing Lives, and has contributed to this research programme with extensive blog posts on North East coal miner and published author Harold Heslop. 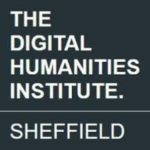 At the Sheffield Digital Humanities Institute, this project is supported by Dr Mike Pidd and Mr George-Andrei Ionita. 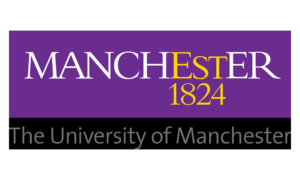 The project is led by the University of Strathclyde with the University of Manchester and the National Railway Museum. The project is funded by the Arts & Humanities Research Council. Grant record available here. Technical development is provided by The Digital Humanities Institute at the University of Sheffield. Copyright © 2018 PISTON, Pen & Press. All rights reserved.